I’m hosting a giveaway on WhatLauraLoves to win this gorgeous clutch bag from Olga Berg and a can of one of my favourite Batiste Dry Shampoo scents, Lace. It has an elegant and seductive fragrance that is more like a lightly scented perfume than your typical hair care product and it does such a good job of refreshing my oily roots the day after I’ve washed my hair. Batiste Lace is also great at giving your hair a boost of volume. I often use it to create long lasting volume and texture in my hair before a night out. So not only can you win one of my favourite products but to complete your gorgeous night out look, I’m also giving away this beautiful clutch bag by Olga Berg. 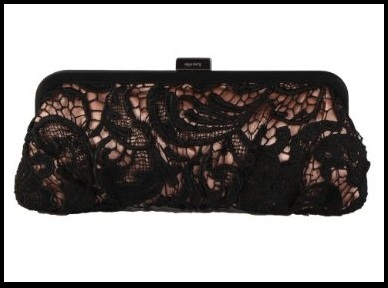 The bag is a pink satin clutch with a heavy black lace over lay. It has a gun metal frame and square block closure. You can use it as a clutch or as a shoulder bag with the attached chain. Gorgeous! Read on to see how you can win this fantastic prize worth around £50! All you have to do to win is to follow me through GFC and leave me a comment with your email address and the name you follow my blog with through GFC. For an additional two entries, you can follow me on Twitter @whatlauraloves and tweet the following ‘I’ve entered @whatlauraloves giveaway here http://tinyurl.com/cv937jx‘. If you’ve tweeted, please include it in the comment you leave me. The giveaway will close on Saturday 25th August with the winner chosen at random and announced in my WhatLauraDid post the day after. 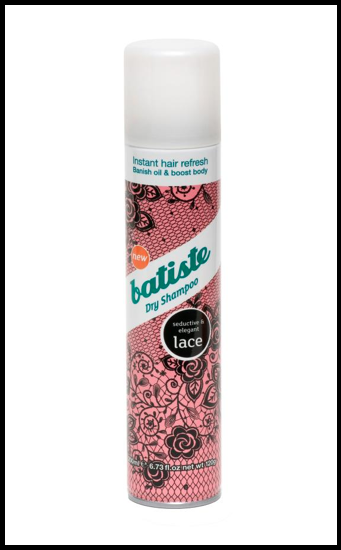 You can read my full review of Batiste Lace here. What a great giveaway! i don't really understand gfc but i followed haha! and i also tweeted about your giveaway, so exciting! gfc johnmsptfollow twitter trelocatmy tweet https://twitter.com/trelocat/status/237190764415836160thanks!!!!!! !